Many brides travel the length and breath of the country or even venture abroad in search of their dream dress but a trip to County Leitrim might the best bet for anyone tying the knot. Padanee Bridal Couture and Consultancy in Carrick-On-Shannon has been named as Ireland's best bridal boutique. 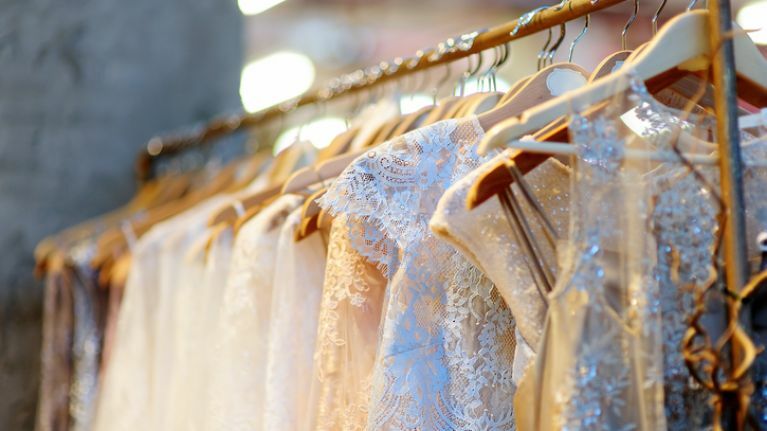 Despite only being in business three years, it picked up the 'Bridalwear Supplier of the Year' gong in the 2018 Weddings Online Awards. The boutique is run by Patricia Corrigan, who has been in the wedding business for over 14 years. She switched from working as a wedding coordinator in 2015 to launch the business with the goal of helping brides to find their dream dresses. Among the designers Padanee stocks are Hailey Paige, Lazaro Bridal, Tara Keeley and Kenneth Winston. Dublin blogger Rosie Connolly recently revealed that she'd be wearing a dress from Padanee for her upcoming nuptials. "It’s funny, I went over to Barcelona for my wedding dress shopping but I ended up finding my dress in a shop called Padanee Bridal in Carrick-on-Shannon," she told VIP Magazine. "When I tried on the one I chose, everyone just said, 'that is perfect' so I was really happy." Over 25,000 Irish brides and grooms voted in the Weddings Online awards, while a judging panel had the final say. Check out the Irish wedding venue of the year here.